Its a great fishing spot with a boat ramp on the beach, if you don't have a boat there is also a wharf around the corner .Is a safe beach for the family to enjoy with glow worms in the cave at low tide or kayaking in the sea and creek. Tangiaro kiwi retreat for a coffee and lunch(or book in advance for a Spa and Massage with Jan from relaxcoro . The Coromandel coastal walk is great walk on a good day, the walk starts at Stoney Bay which is the next beach . There is also horse riding treks available in Colville. - A Deposit is to be paid before booking is confirmed. - The remaining balance is to be paid before arrival. We really enjoyed relaxing in Port Charles – no contact with the outside world so it really was a retreat. The bach was comfortable and had just about everything we needed. With a good spring clean and a refresh of the furniture this place would be the bees-knees! A perfect spot to be disconnected enough to rest and unwind. Sandy Bay is one of the few spots with a touch of the kiwi spirit. We loved our time there, sitting on the green couch on the deck was so relaxing, it wasn't enough :-(.. thank you and we hope to come again maybe relax enough and have some energy for a fish. We turned up and there was fresh fish in the fridge for our dinner!! Fantastic place for a weekend away, amazing fishing! !! This is the second time we have stayed here. Nice compact house. Was clean when we arrived. Nice hot spot to sit in sun. Just a walk to Sandy Bay Beach, and other bush walks. Delightful little bach, no fuss but everything you need. comfortable and tidy. 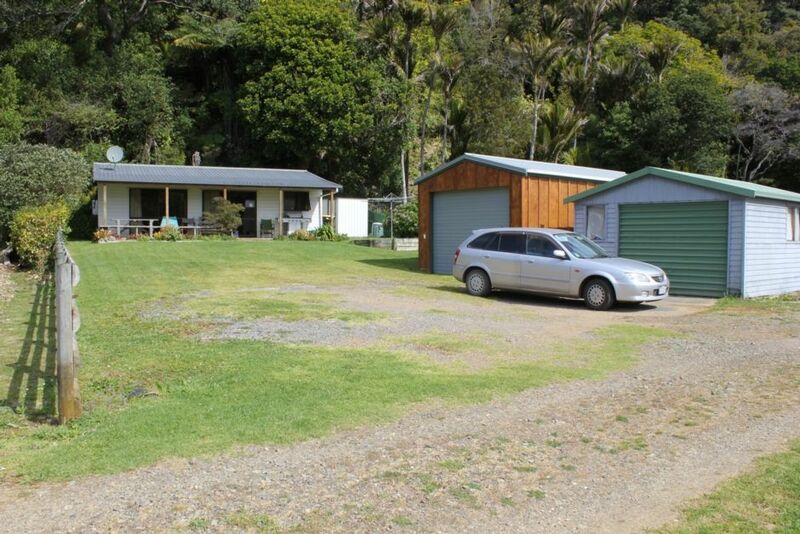 Great location set off from road but close to safe, beautiful sandy bay. If you want a holiday away from everything I recommend this is the place to stay.